Dozens of warehouse workers in Inverclyde have been made redundant, after the collapse of Northamptonshire-based computer reseller Misco UK. Administrators from FRP Advisory said the "vast majority" of Misco's 330 UK staff had been laid off, including most of its 80 staff in Greenock. About 30 posts will be retained at its headquarters and at Greenock until the administration process is completed. The job losses in Inverclyde have come two months earlier than expected. 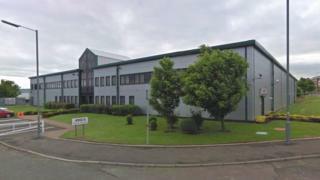 In August, Misco announced plans to close the Greenock warehouse by the end of the year. FRP Advisory said the company had collapsed after pressure on cash-flow became "unsustainable". Joint administrator Geoff Rowley said: "Misco UK had made great progress since the change of ownership and new investment in March this year but the company's turnaround plans could not deal sufficiently with the rapid deterioration in cash-flow after the sudden tightening of credit insurance terms." Misco UK was part of Misco Europe, which continues to trade in Italy, Spain, the Netherlands and Sweden.